Last summer, I discovered eggs in jars: we loved the ease of preparing them in advance and having a nice, easy, healthy, tasty breakfast in the morning. But as the school year progressed, hubby and I went back to making normal scrambled eggs for breakfast. I really enjoyed the flavor of the eggs in jars, but the texture got a little dry after a few days. A couple of weeks ago, we took the family on a little mini-vaca to a waterpark. I like to bring our breakfasts and lunches so that we're not eating out every meal. The kids' breakfast is easy: they eat yogurt and cereal every morning. But I wanted something with more protein for hubby and me, something that could be made ahead of time and reheated in the microwave. And I thought of the eggs in jars. And then I thought of the quiche we'd had a few days before, and wondered if I could combine the two. I've played with the recipe a few times, combining this one from the Kitchn, this one from Emeril, and this one from NM's Modern Baker. I make a batch in half-pint mason jars, screw on the lids, and pop them in the freezer. The night before, I put one in the fridge, and the next morning, I just throw it in the microwave for 90 seconds and have a delicious quiche! Disclaimer: I like that the texture is much lighter and more quiche-like, even after several days. It never gets that rubbery texture of old scrambled eggs. And I really like the flavor from the zucchini, but it does create a little extra liquid at the bottom of the jar; hubby didn't like that part. 2. Whisk together the milk, cream, eggs, salt, pepper, and nutmeg in a large measuring cup. 3. Heat the olive oil in a skillet over medium heat. Add the garlic and onions and saute for a minute. Then add the grated zucchini and cook for 3 - 4 minutes until the veggies begin to soften. 4. Butter the mason jars. Divide the zucchini and onion mixture evenly between the five jars. Then divide the ham and cheese equally. Finally pour in the egg. 5. Bake the jars (I put them all on a sheet pan for ease of moving them) for 30 - 35 minutes, or until the inside registers 160º. 6. Cool and then cover. These can be kept in the fridge and heated for about 60 seconds in the microwave. They also freeze really well. Just pull the (defrosted) jars from the fridge, microwave for 60 - 90 seconds, and enjoy! After a couple of weeks of twice-a-day feedings and doublings, I decided that Austin was ready for a real test-drive. I've used discards from his feedings in our pretzel dogs and in my almost-no-knead bread, and this morning I used a cup of discarded starter to make KAF's sourdough crumpets for breakfast. I've never had crumpets before, and I wish I'd read Celia's crumpet post first because mine definitely didn't have the holes that she talks about. Still, they were easy and tasty, and a fun way to use starter discard. So, on to our first real test-drive: I decided to try the basic pure sourdough (not spiked with instant yeast) from Peter Reinhart's ABED. The dough was gorgeous. Unlike my first (fairly unsuccessful) tries with pure sourdough, I ignored the timings from the recipe and just let it rise for a really long time. It came out of the fridge at 6:00 a.m. I didn't shape it until about 10:00 a.m. and didn't bake it until about 4:30 p.m. (our house was quite cool). Even after all that time, you can see that I still had quite a bit of oven spring. I've been reading about no-knead bread for a few years, but as someone who was so enamored with all the intricacies of bread baking that she read the first 100 pages of The Bread Baker's Apprentice like a novel not once, but twice, I wasn't that excited by the idea of a bread that essentially makes itself. But here we are, a couple of years and two bread book challenges later, and sometimes life is just busy: I needed a bread I could make in a flash to go with our cauliflower soup. Happily, browsing my friends' Pinterest bread collections (yes, I've finally been sucked into that time black hole), I found a link to America's Test Kitchen's newest version of their almost no-knead bread, a recipe I've been meaning to make for so long but that always gets lost in the stack of new recipes. I made a half-recipe, mixing up the all-purpose flour, salt, a pinch of yeast, water, and a bit of beer. The last ingredient is vinegar, but I'd read that the purpose of the vinegar is to give it a hint of sourdough flavor, so I used my discard from a sourdough feed instead. The ingredients are barely mixed and then left at room temperature for 16ish hours. After school, I rushed home and shaped my little boule and left it in a warm spot in my 6" cake pan. Once it had risen, I baked it in my new small enameled Dutch oven for 25 minutes uncovered and about 10 or 15 minutes uncovered. With two preschoolers and two full-time teachers in the house, life is usually crazy busy around here (except in the summer...I can't wait for summer!). By the end of the school day, we are all tired and discussions about dinner never go very well. So a couple of years ago, I bought a little white board that hangs between the fridge and the stove, and each weekend I plan meals for the week. It makes grocery shopping a lot easier...and a lot cheaper...and a lot less wasteful. And it makes our evenings a lot less stressful. But the meal on tap for last night was soup, and when hubby and I heard that we were getting one more 75º day before going back into the 50ºs, we decided it wasn't soup weather. But we didn't have any back-up plans, and that's never a good thing. Luckily, I opened up my Google Reader first thing in the morning and saw this recipe for pretzel dogs from Tracey. Dinner! I was able to rush home after work and whip up the dough. It was a beautiful dough to work with. (This was also Austin's debut; I used the leftover starter after one of his feedings in the dough in place of some flour and water.) :) Knowing that it would rise for a little bit longer than called for while I went to pick up the kids, I used slightly cool water. When I got home with the kiddos, it was doubled and ready to roll! I divided the dough into fourteen 65g portions, rolled each into a long snake, and wrapped it around a half-hotdog. I used the leftover dough to make 25 pizza bites. These were all boiled in water and baking soda, brushed with an egg wash, and the dogs were sprinkled with salt. They baked for 15 minutes and were done and cooled by dinner time. When I popped a pretzel bite into hubby's mouth, he immediately said, "Pretzels!?" I couldn't believe how pretzelly the flavor was; way more than any other pretzel recipe I've ever tried. The rest of the bites were dipped in melted butter and then coated in cinnamon sugar. Pretzels for dinner and dessert...can't beat that! Wordless Wednesday: They finally have a home! 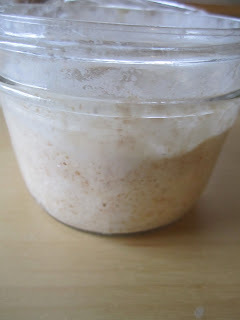 I first made my sourdough starter in the midst of the Bread Baker's Apprentice Challenge, in February of 2010. 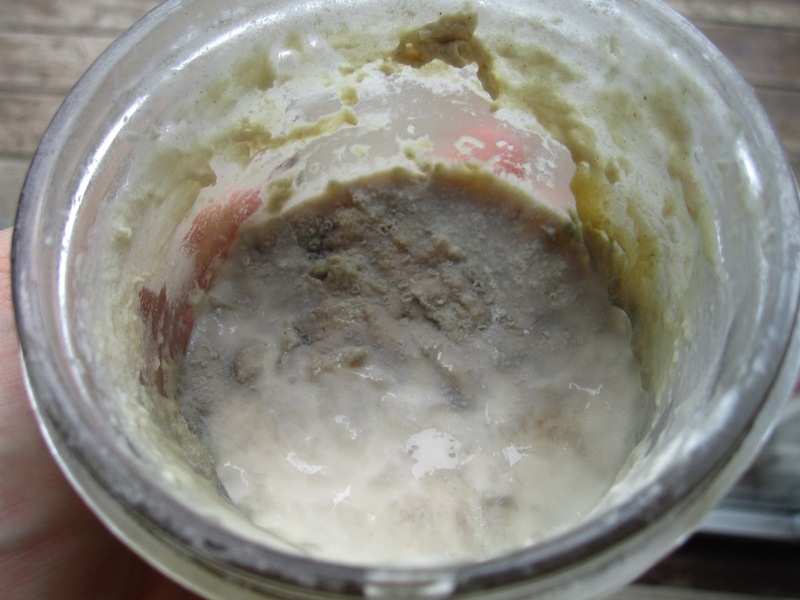 It was slow-going, which I took personally, but as the warmer weather hit in June, I realized that my starter's slow nature was likely due to our cool house and frigid winter. Austin the Starter has served me well over the past two years. Yay! So I pulled up Paul's tutorial on how to revive a dried starter and got to work. I took a teaspoon of starter (saving the rest, just in case it didn't work or this happens again!) and mixed it with a couple of teaspoons of water. I let them sit for a few hours until the starter softened and I could stir it all together. Then I fed it some flour and water and crossed my fingers. I'm not sure if I got ahead of myself and tried to move it along too fast, or if it was just that our house has been a little cool, but it took a good day for it to double. But double it clearly did! I've been feeding it regularly for two days now, and after each feeding, it takes less time to double again. And it already smells deliciously like sourdough. My plan is to keep it on the counter and to keep feeding it regularly for another few days to make sure it's really awake, alive, and healthy. And then I'll try baking with it to make sure. But thankfully, we seem to be back in business! Austin lives! I don't usually do this...when I was browsing the cookie section of The Modern Baker to pick my "official" blogging recipes, I picked this one just for the picture: a beautiful shiny pink top, with a chocolately brown layer in the middle, and a shortbread-looking cookie on the bottom. These Viennese punch cookies are so pretty! If I'd read more carefully, I probably wouldn't have chosen them; they are not child-friendly, with a significant amount of rum in both the filling and the icing. And the brown layer is not a chocolate filling. Nevertheless, while mine didn't look as lovely as the ones in the book, these were fun to make! According to my newest issue of Cook's Country, many groups created easy-to-make portable meals to take down to the mines in their lunch buckets in the late 19th century; for Italians in West Virginia, it was a pepperoni roll. The recipe for this on-the-go lunch clearly became a must-make in our house. When I mentioned these to Kayte, she decided to join in, and then Margaret did, too. Due to my hubby's desire to have these immediately if not sooner, we ended up baking these on different days, but they were a big hit with all three of our families. According to Cook's Country, this recipe makes 16 rolls. Initially I intended to cut the recipe in half, but then I read the note about how easy these were to freeze. So I made and baked 16, which fed us for a dinner and a picnic lunch at the zoo, and then froze the rest. When we needed a quick, no hassle dinner, I stuck the rolls into the oven, made a batch of Donna Hay's mozzarella and tomato dip, and we had another dinner, just as good as the first! 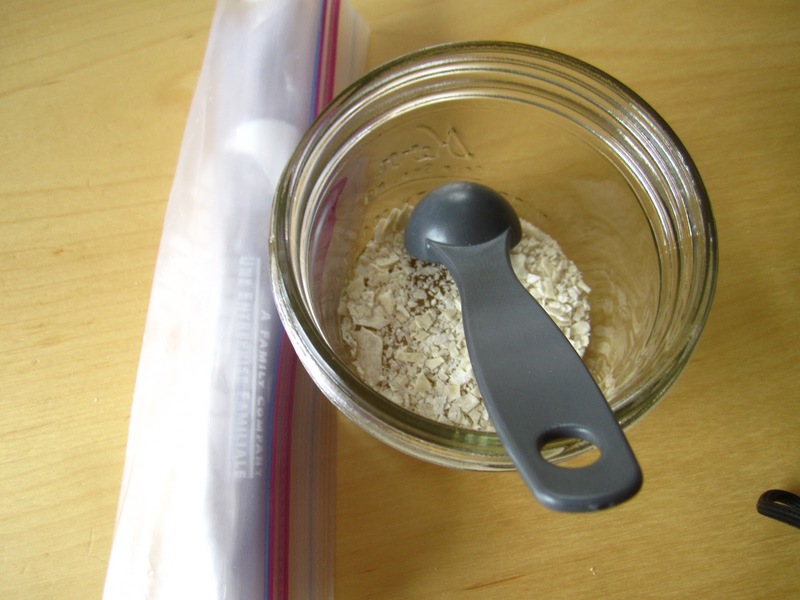 Combine water, milk, and sugar in a large measuring cup. Microwave until the temperature is 110º (about 1-2 min). Stir in pepperoni oil. Mix flour, yeast, and salt in a large bowl. Add the water mixture and stir until incorporated. Knead until smooth. Put in the unwashed pepperoni bowl. Cover and let rise until doubled, about 1 hour. Divide the dough into 3 1/2 oz pieces. Form into balls and let rest 5 minutes. Toss pepperoni sticks with remaining 1 tablespoon of flour. Put rolls seam side down on parchment-lined rimmed baking sheet, end to end, 1/2 inch apart, 4 per row. Cover with plastic and rise until doubled, about an hour. Brush with eggs and sprinkle with sesame seeds. (I made half without sesame seeds because the kids don't like them.) Bake at 375º until golden brown, about 24 - 28 minutes. Our second April recipe for Tuesdays with Dorie is a lemon loaf cake. This is a pound cake that takes all of five minutes and one bowl to make. It's made by whisking eggs with sugar (gently), and then lemon zest, and then sifting flour and baking powder, whisking in some heavy cream, and folding in some melted butter. That's it; it took a million times longer to bring the ingredients to room temperature than it did to make the cake. Check out the other TWDers' lemon cakes here and, if you'd like the recipe, grab a copy of Baking with Julia or check out this week's hosts: Truc of Treats and Michelle of The Beauty of Life. Wordless Wednesday: Other uses for bread dough = jewelry! I'm not sure how it's April already, but here we are: the first Tuesday of the month! Our first April Tuesdays with Dorie recipe is pizza rustica by our very own (Modern Baker Challenge and Bake!) Nick Malgieri! This recipe (or maybe April itself) sneaked up on me, but luckily it's the kind of recipe where you can realize you need to make it at 8 a.m. at work, send the hubby to the grocery store at 3 p.m. for a couple of key ingredients, and still be eating dinner by 5:30. Pizza rustica is made with a sweet dough, which is quickly mixed in the food processor and handles like a dream. Into the crust goes a mixture of cheese (ricotta), more cheese (Romano), even more cheese (mozzarella), and meat (prosciutto). I wanted to make the recipe as written the first time, but I know some of the other TWDers experimented with adding veggies, and I would love to do that next time: some onions, spinach, maybe a pepper. Yum! You may be thinking that it doesn't sound like pizza, and you'd be right; it's much more like a quiche. Luckily, some of the TWDers had been talking about that very fact, so I named it "quiche" when describing it to the family and no one was disappointed. I know the sweet crust-salty/savory filling was weird for some people, but with my big sweet tooth, I thought it was quite tasty! The hubby loved it. In fact, he's pretty sad that I need it for my lunches this week and he won't be able to eat it every day for breakfast. The kids, never fans of foods with ricotta, didn't like the filling, but both ate pieces of the crust like it was a cookie. For the recipe, buy a copy of Baking with Julia, or check out today's hosts: Emily of Capitol Region Dining and Raelynn of The Place They Call Home.